You can download the current 3.5.0 version of MSI file from the link here or go visit download page. When you run the downloaded file, the dialog box will be displayed as shown below. When you click "Next", you will need to select in which folder you want to install. 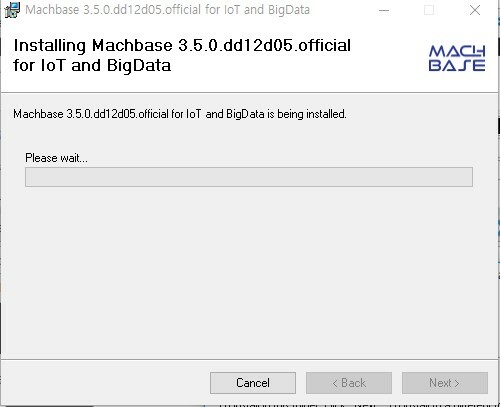 When you click "Next", a dialog box pops up to check whether you want to go for installation. 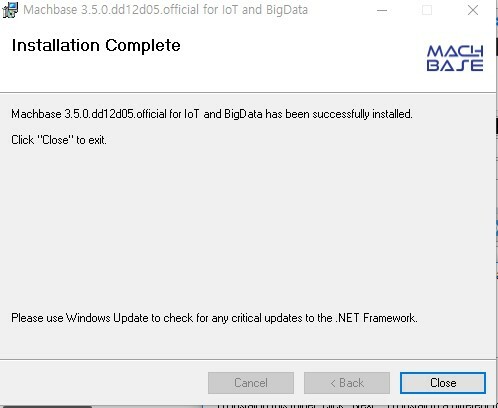 When you click "Next", a dialog box will show the process of installation. Now you will reach to the installation complete page. In Control Panel, click Administrative Tools, and then Data Sources (ODBC) to change the settings. Click "Add" from the window above, and select machodbc as shown below. 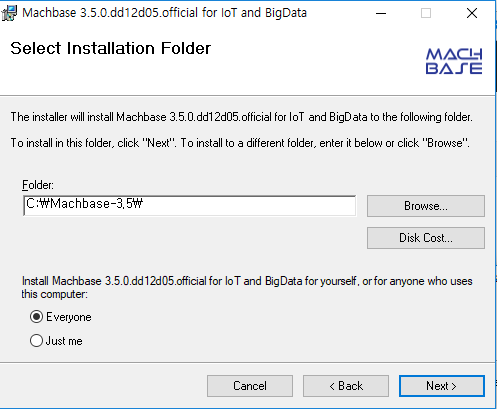 Enter the IP address and port number in a location where Machbase Server is installed. The default settings for Machsql is SYS for User ID and MANAGER for password. Click "Try Connect!" to see if the server is connected. If it is connected, you can see "Connection Successful" as shown below. 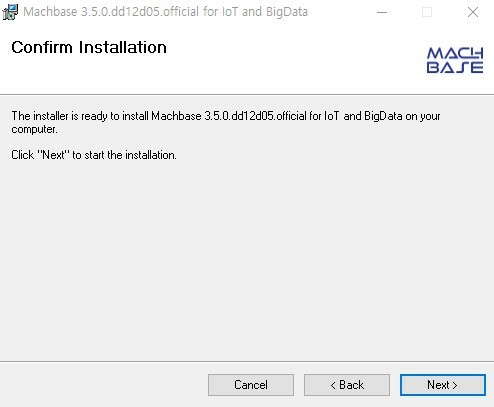 Now you have ODBC connected to Machbase.